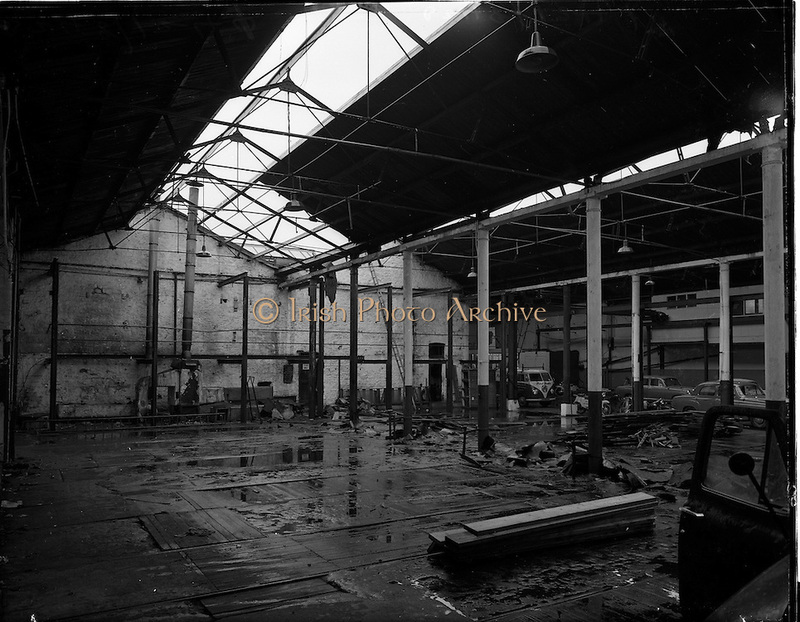 Pictures of the interior of Ballsbridge Motors, Shelbourne Road, Dublin, before renovation. The premises had been a tram depot until the 1940's. Note Volkswagen van in right background.